Keep the shambling hordes at bay with these zombie throwing weapons. The 6 Piece Biohazard Two Tone Throwing Knives are also well balanced for competitive and recreational throwing events and make a great gift for knife enthusiasts. 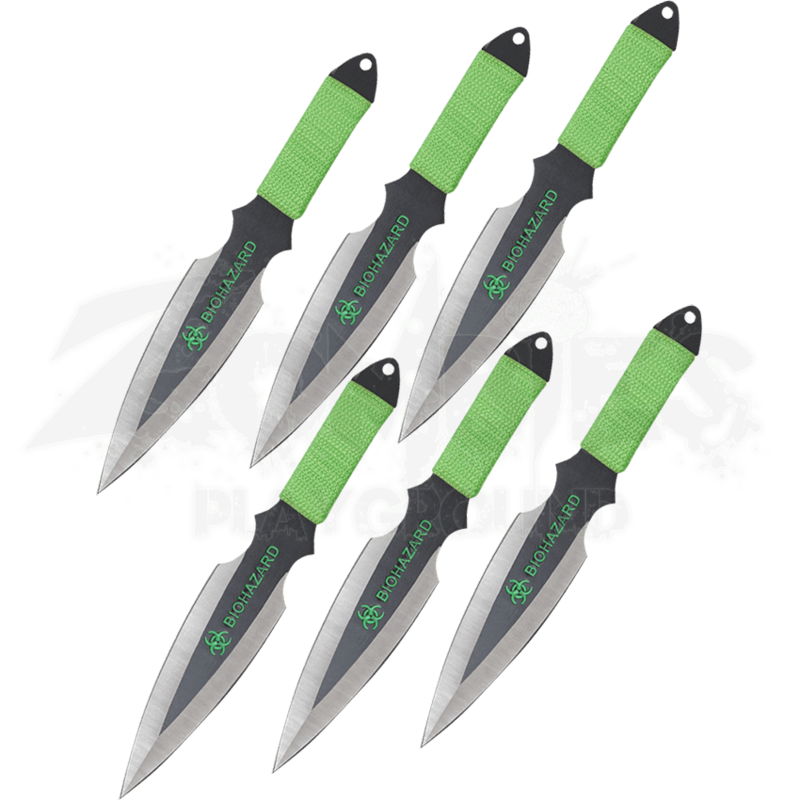 Crafted from a single piece of stainless steel, each functional throwing knife is black with chrome sharpened edges and a green Biohazard logo on the blade. 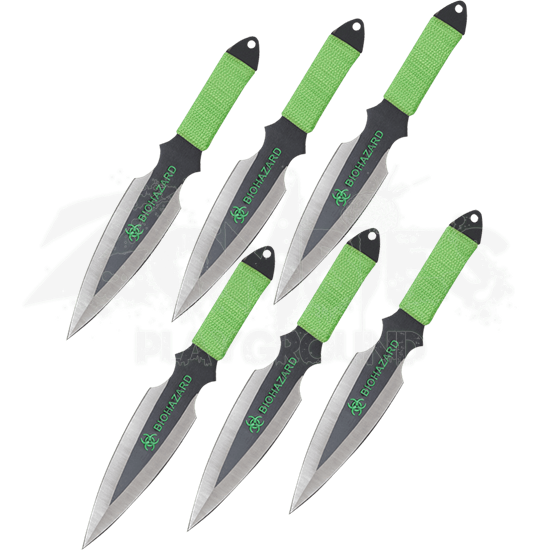 The handles of the competition throwing knives are wrapped with bright green paracord and each features a lanyard hole for added functionality. The throwing knife set also includes a nylon sheath with a belt loop and six individual pockets. Precision crafted for competition or recreation, the 6 Piece Biohazard Two Tone Throwing Knives are an impressive addition to any knife or survivalist collection.